It’s the 6 digit code on your “My Profile” screen. 3 – Start recruiting and earning! 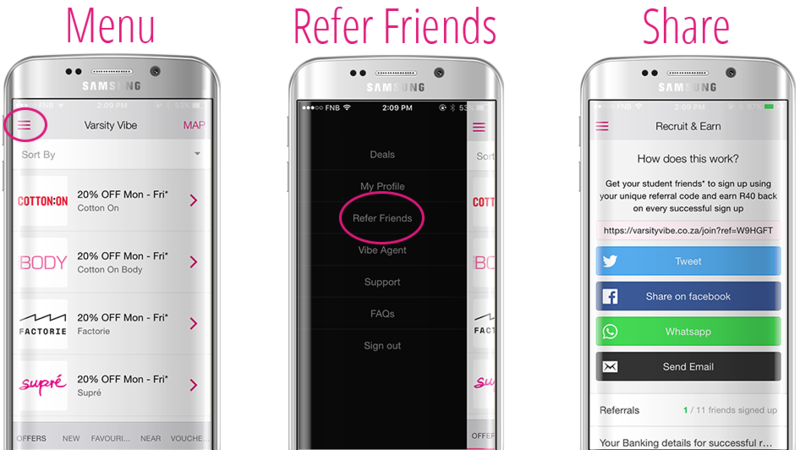 1) Invite possible members via your App: In the App, go to the Menu and tap “Refer Friends”. 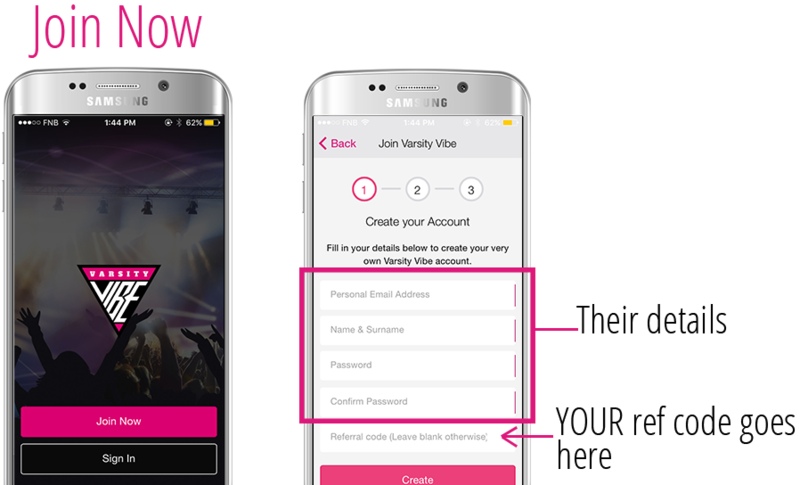 You will be able to email your reference code to your friends OR share it via social media. When your friend opens your link, they will be directed to the “Join” page containing your Ref Code. OR 2) In person: Get your friend to download the App and “Join now”. Give them your Ref Code to input during step 1. 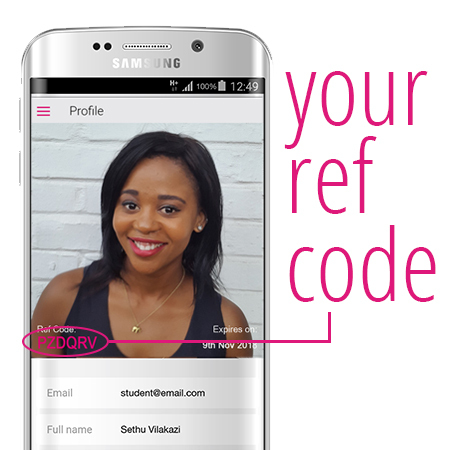 Once they have successfully signed up (using your Ref Code) & paid…you will earn R40 cash in your bank account! The best part is that there is no limit to how many friends you can sign up. So go crazy, refer your peeps, and make some cash! Standard Bank Student Achiever members get a FREE Varsity Vibe membership. If you refer such a member, then you do not get a R40 referral fee. (ie if Varsity Vibe does not receive a R200 payment, we cannot pay a R40 commission/referral fee). If you have are a Standard Bank Student achiever and need to verify your Standard Bank Student achiever account please email support@varsityvibe.co.za saying “My Varsity Vibe account has been verified but I want to switch to a Standard Bank VV account” and we will sort you out asap.